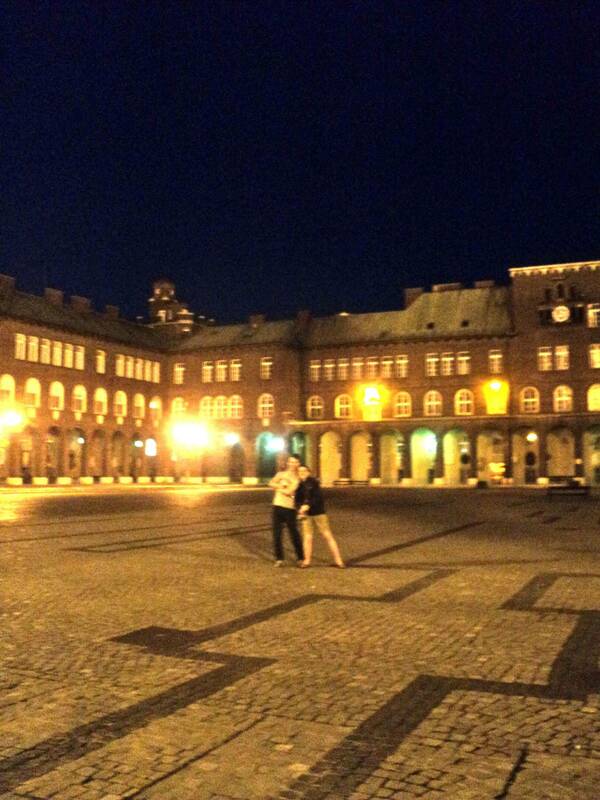 Szeged was so pretty. I was very glad that I went. 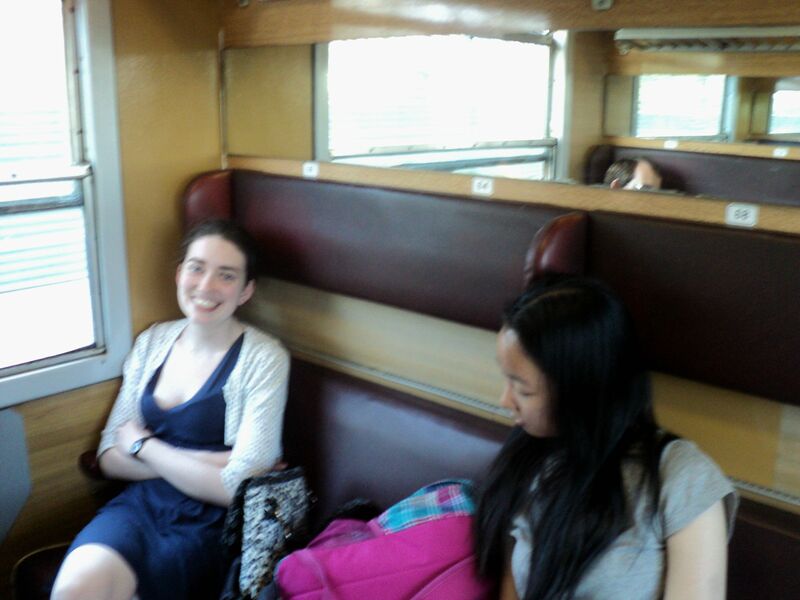 The BSM arranged the whole trip, so we rode the train down to Hungary’s sunniest city on Friday after class. The lecture was pretty interesting, but I wished it had gone more in depth about the implications of its subject (spindle convexity, if you’re curious) because all the Google-ing I have done since has not yielded much on the subject. After dinner, we went for a walk around the downtown. Hungary has two parallel rivers running through it–the Tisza and the Danube. 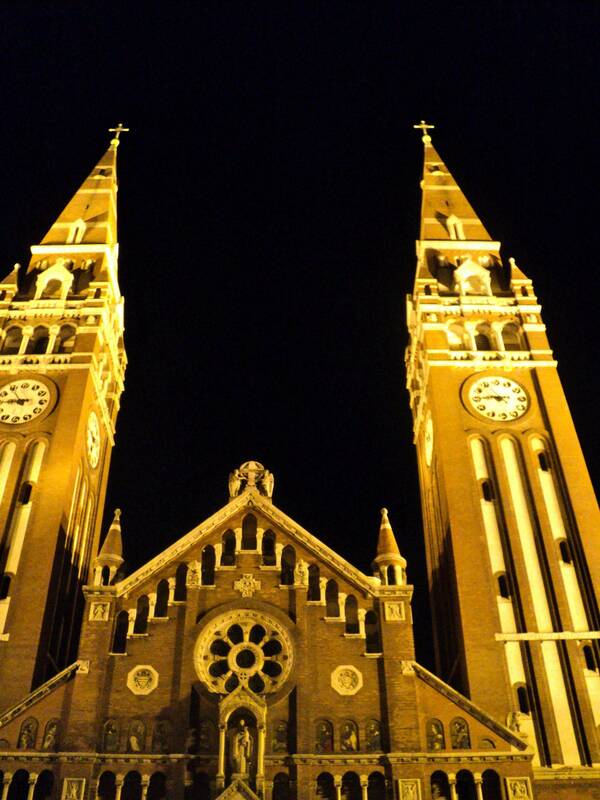 Szeged is in the far southeast of Hungary and was completely destroyed by a flood in the Tisza in 1879 or so. So the whole city was rebuilt in the popular ring-and-spokes design at the time, which you can see in this map of the city. Almost at the center of the wheel is Dom square, this huge open space surrounded on three sides by the buildings of the very best university in Hungary. The fourth side is taken up by the gingerbread-and-sugar shape of the famous Votive Church, which rings the hours with the bells in the last piece of medieval architecture in the city–a 12th-century campanile. We walked along the river for a while, then found a fantastic 30-flavor gelato shop (pear and walnut! Marzipan and sour cherry! ), bought ice cream and headed back to our dorms across the river. 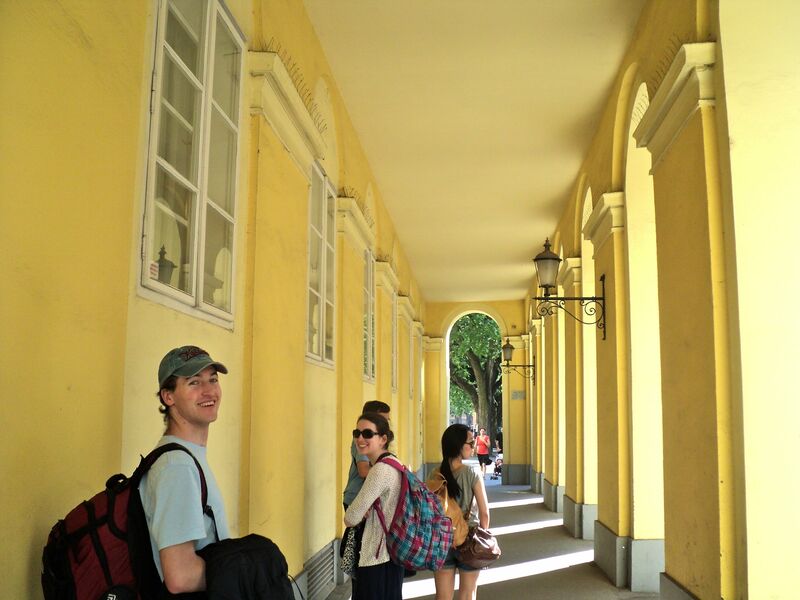 The dorms–well, the best that could be said about them is that they were cheap. Thankfully we didn’t have to stay there long, because oh man the bathrooms were gross. The next morning we got coffee and pastries in the central square, then headed back to the Votive church to see the inside. 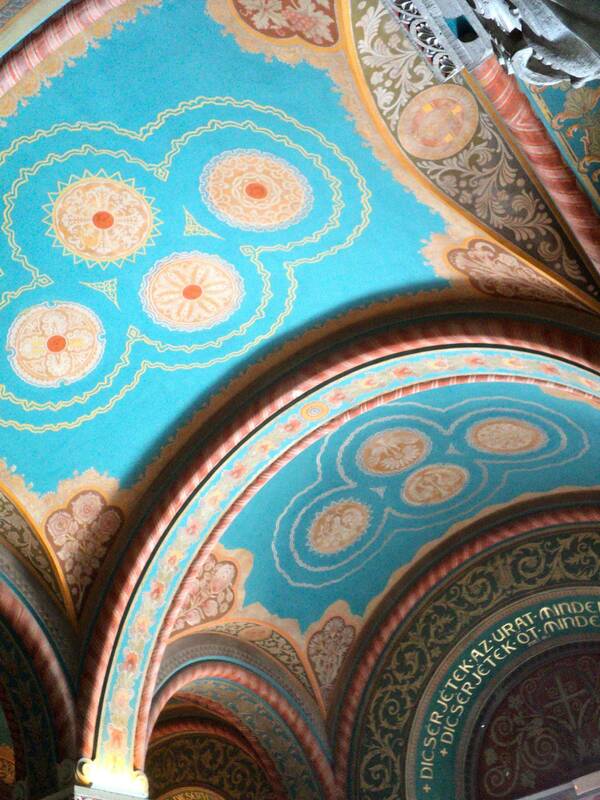 It was like being inside an illuminated manuscript. Practically every character from the Old Testament was painted on the walls, and what space was left over was covered in twisting knots and gold leaf. We hung out in the park for a while and eventually decided to get lunch. 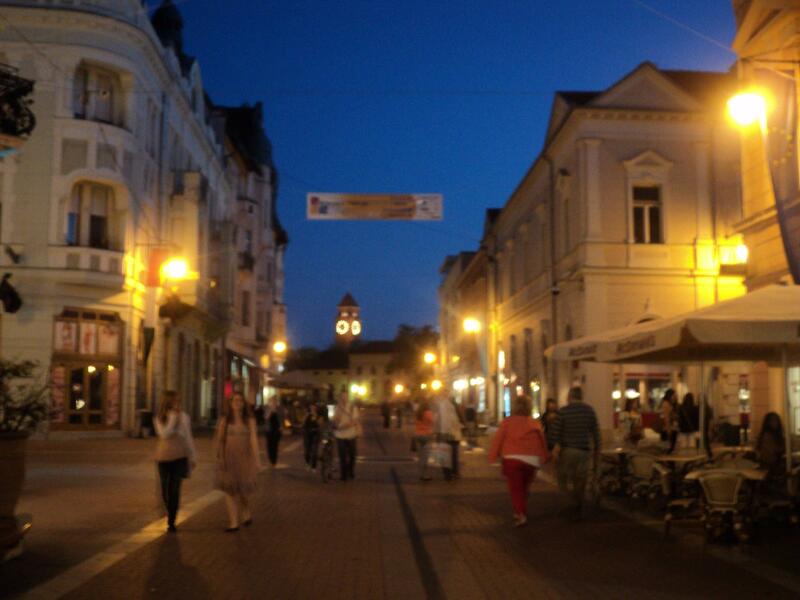 Southern Hungary is supposed to have spicier food than the north, and the Szeged-style fish soup was legendary. 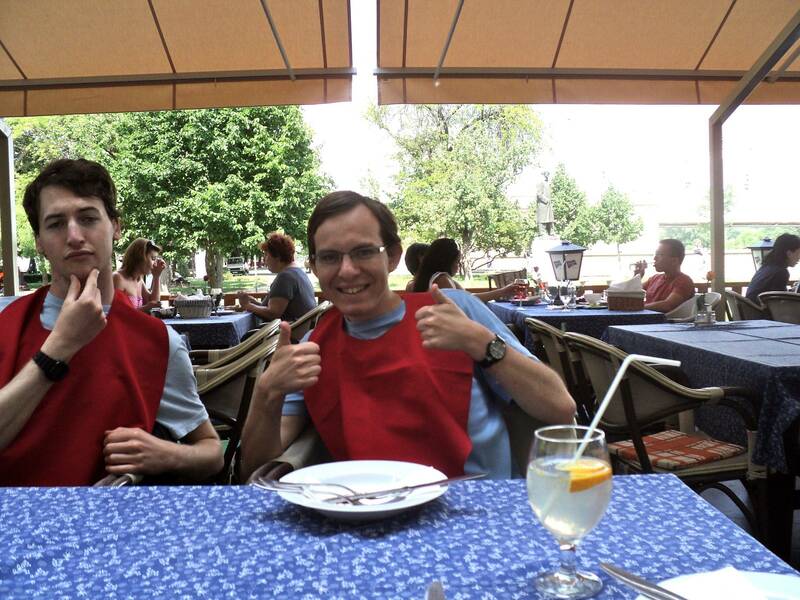 We ordered a kettleful and were given linen bibs to protect our clothes from any paprika-spiced drips [above, Will and Garner modeling]. I also ordered a bowl of nokedli (recipe here) because I am kind of obsessed with dumplings. They were perfect with the spicy broth. Walking back to the train station. From foreground back: Will, Hannah, Mika, Garner. We managed to get a compartment all to ourselves on the way back to Budapest. 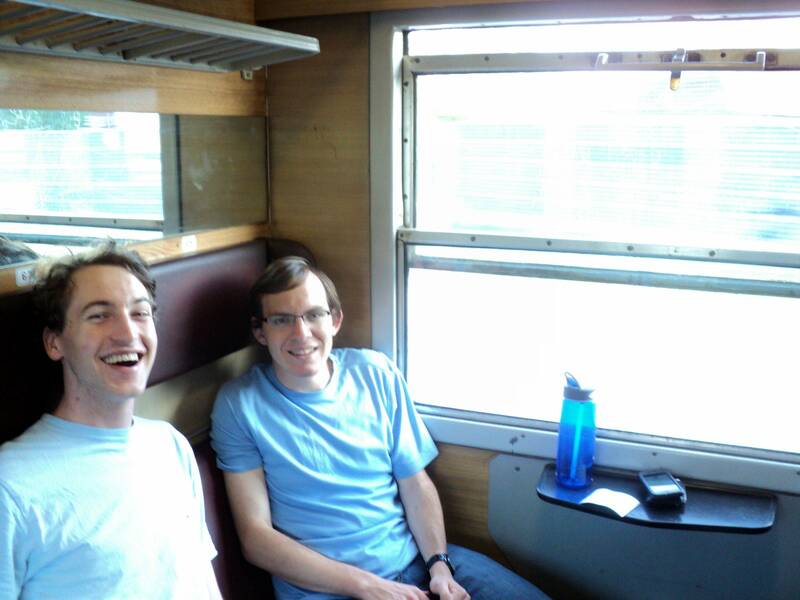 It was delightful, and we spent the whole trip pretending to be on the Hogwarts express. Mika, napping. We were all pretty worn out by our hike around the city. Definitely worth it though. You can see more photos by clicking on this link. Thank you for showing us more of Hungary! Looking forward to trying nokedli! No wonder Szeged is sunny, it”s practically in Serbia. 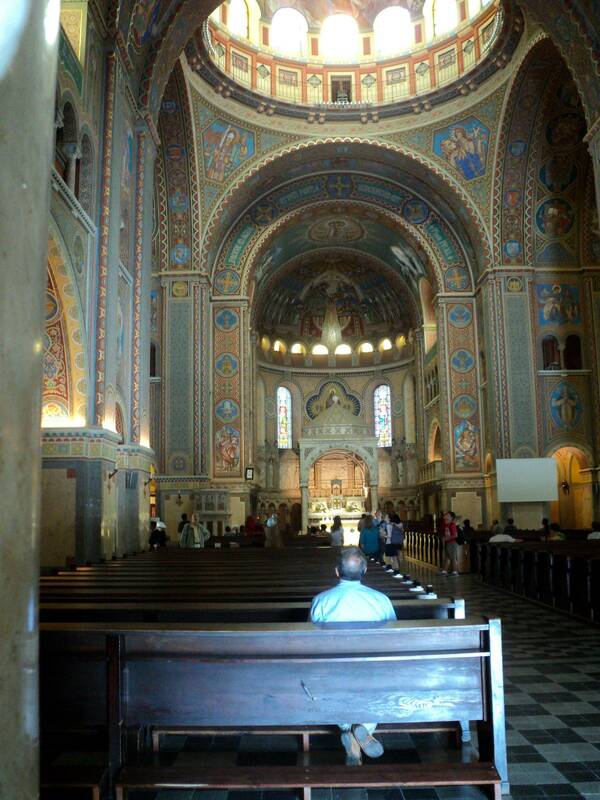 Gorgeous cathedral – like a Beethoven symphony – simple motives repeated and developed into a magnificent work of art. 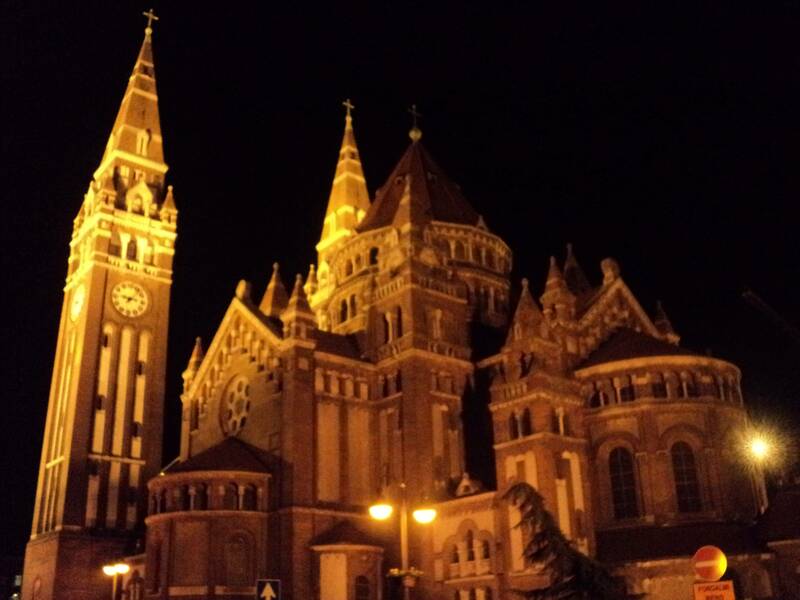 Szeged is my home town! It’s always great to see it with a foreigner’s eyes! Thanks for sharing your photos and story! I’m so glad you liked it. Hey, do you have a good recipe for fish stew? The stuff we ate in Roosevelt Tér on the Tisza was delicious.